SCOUTS South Africa is a volunteer run organisation with a limited number of paid staff. Our volunteers coordinate and implement the Scouting programmes nationwide. This is our dynamic and experienced management team! Dr Hausberger was previously the Chief Commissioner of SCOUTS South Africa (SSA) and served on the SSA Executive Committee. He has been an active and dedicated adult member for over 20 years, during which time he has worked with the youth to empower many children and youth through Scouting activities and events and has worked with the training and development of our adult volunteers as a member of the adult leader training team. 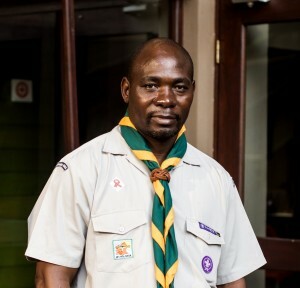 As the Gauteng Provincial Commissioner, with the support of the regional team and Scouters in Gauteng, he oversaw the implementation of the Scouting programme, a number of environmental and sustainable community upliftment projects and managed the regional infrastructure. Mr Khonzaphi Mdaka joined the Scouting Movement in 1994 in Mataffin. In 2000 Dudley James invited him to join him as a Deputy Provincial Commissioner. Two years later he took on the role of Provincial Commissioner. In 2011 Dudley stepped down as Provincial Chairman and Khonzaphi not only took on that role, but was also elected at the National Scout Council to serve on Steercom which oversaw the revitalisation of Scouting. More recently Khonzaphi stepped into a National position on EXCO as the Chair: SSA Properties. He was able to make big strides with regards to the consolidation of SSA properties and put in place methods for effective property management and maintenance. Khonzaphi graduated at the Madadeni Technical College in Electrical Engineering. After gaining experience within a number of companies, Khonzaphi joined Halls as an assistant electrician. Due to his hard work, diligence, determination and skill he rose through the ranks and is currently a Project Manager. The journey wasn’t easy, but the character and ability to overcome challenges is something Khonzaphi attributes to his life within the Scouting Movement. Professor Brian Figa ji played a key role in shaping the South African education system and served as the former Principal and Vice-Chancellor of Peninsula Technikon.As a member of the SCOUTS South Africa Executive Committee he has been instrumental in our growth. He joined the Scouting Movement as a young boy and grew through the ranks. In 1977 he played a crucial role in amalgamating the four Scouting Movements into one united organisation free for all and again in 2012 with our revitalisation. 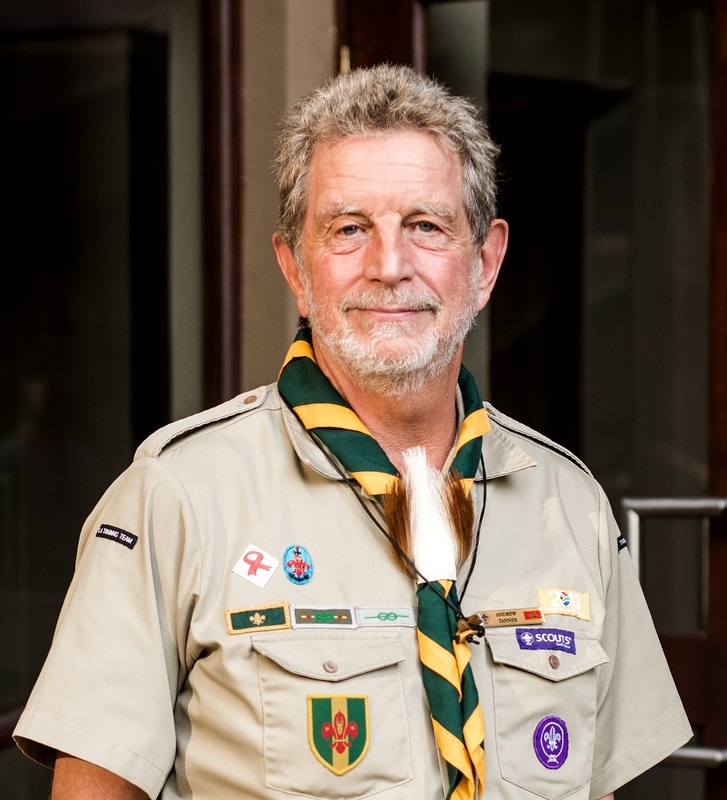 For his service to the Scouting Movement he has received numerous awards such as the Medal of Merit, the Order of the Silver Protea and in 2013 the highest Awards within SCOUTS South Africa, being the Silver Springbok. His professional activities are widespread and renowned for excellence. 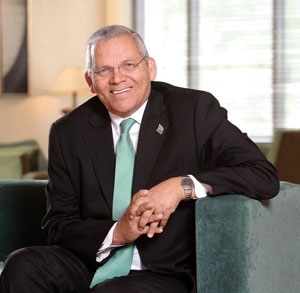 He is a Fellow of the Academy of Engineers, as well as a Fellow of the South African Institute of Civil Engineers. In 2005 Prof Figaji was appointed to represent South Africa on the Executive board of UNESCO in Paris. He has also been appointed by the President to serve on the Advisory Board for National Orders. He has won many academic awards and plays a prominent role in the community. He received an Honorary Doctorate of Humane Letters by the California State University, Hayward and an Honorary Degree of Doctor of Education from Coventry University in the United Kingdom for his outstanding contributions to education as a means of social and economic development. 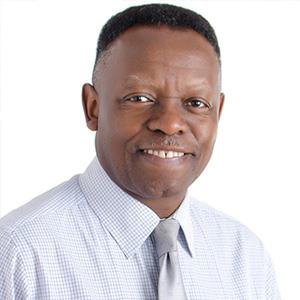 Trueman Goba is the chairman of Hatch Africa (Pty) Ltd, which is part of the HATCH group of companies, a global group of engineers and professionals in the field of consulting and construction management. He has held numerous positions in the Engineering profession and industry, including President of SAICE (SA Institution of Civil Engineering) in 2002, President of ECSA (Engineering Council of SA) between 2007 and 2009, was chairman of the then Cement and Concrete Institute from 2004 to 2005 whilst he was also a member of the CIDB (Construction Industry Development Board) between 2004 and 2007. Between 2010 and 2015 he was appointed on the first National Planning Commission and he is currently the President of the SA Academy of Engineering. Trueman Goba was born in Durban where he attended primary schools in the well-known townships of Chesterville, Clermont and Inanda. During this time he was a Cub. Alec Hogg is a former Scout who attended the 1975 World Jamboree in Norway. 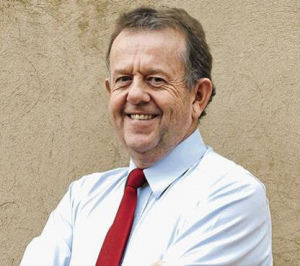 A writer, broadcaster and media entrepreneur, he introduced business radio to South Africa and founded Internet publisher Moneyweb in 1997, listing the company on the JSE in 1999. He left Moneyweb in 2012 and founded Biznews.com in August 2013. He anchored the Power Lunch television programme on CNBC Africa weekdays and is a sought-after keynote business speaker on investment and global economic affairs. Gary Pienaar joined the 9th Pietermaritzburg Cub Pack along with his younger brother, shortly before his 10th birthday. He achieved his Leaping, his Springbok and the old Chief Scout’s Awards. Over the years he has served in Group, District, Regional, Training and National roles. He did a B. Com degree at the University of KwaZulu-Natal, completed a MBA through Stellenbosch University and was awarded the Old Mutual Medal for exceptional academic achievement. He currently works and resides in Johannesburg. During his career, he has held various commercial roles from finance and accounting, to human resources management and more recently sales and marketing. He currently works for Tiger Brands Limited, and has experience in both business unit and group management roles. Mr Pienaar has 3 sons and is an active adult volunteer. Milly Siebrits has been leading the way for SCOUTS South Africa for the past ten years. Initially as the project manager and since 2007 as CEO. She has been instrumental in spearheading the revitalisation of South African Scouting in order to ensure a holistic approach to youth development and to address the current societal and environmental needs. ceo@scouts.org.za Read more here. Mr Andrew Tanner grew up in Scouting as a Cub, Scout, Rover and Venture Scout leader in England. 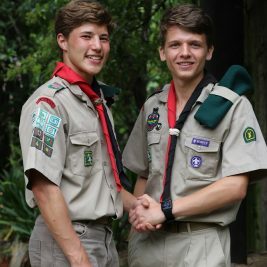 In South Africa he was Group Chairman, Troop Scouter, and Assistant District Commissioner, before devoting his time to Adult Leader Training and more recently as Chair: Adult Support. Andrew has made substantial progress over the recent years with regards to growing the Adult Support portfolio including the revision and development of adult resources. Andrew is a semi-retired professional civil engineer who was a director of, and specialist consultant to, a leading South African consulting practice. He has specialised in integrated water resource planning for shared river basins and leading multidisciplinary feasibility studies for large water infrastructure projects. Read Andrew’s Scouting journey here. Ms Adrienne van der Watt hails from KZN where she is Chair of the Lexden PLTU, an Assistant Leader Trainer and a very experienced Troop Scouter. As a Rover she gained her BP award. 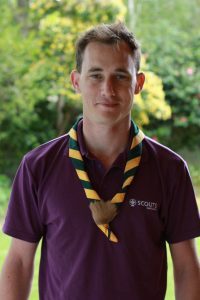 Mr Cameron Belling joined the Scouting Movement in Durban in 1998 as a Cub. Six months later he moved up to Scouts at the 4th Durban St Thomas Scout Group . Cameron grew through the ranks within 4th Durban St Thomas, from Assistant Patrol Leader right up to Assistant Troop Scouter. In 2006 he was invested as a Rover after which he took up the role of Crew Chairperson. He then moved to the SIGMA Rover Crew and in 2010 was appointed Rover Scouter. On a Regional Level, Cameron volunteered in a number of roles ranging from KZN RAC Chairman to RTC Rovers. The KZN training team appointed Cameron as an Assistant Leader Trainer in 2013 and two years later he was appointed Leader Trainer. In 2016 he became the Contingent Leader for the 15th World Scout Moot and was appointed as the National Rover Programme Chairperson. When not Scouting, Cameron heads up the national marketing department for an industrial manufacturing company. Read more here. Ms Jeanette Angus is a very busy payroll controller at a huge retailer. 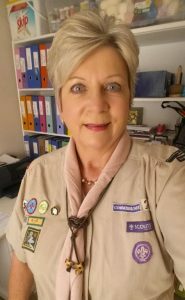 Jeanette volunteers all her spare time to the Scouting Movement. 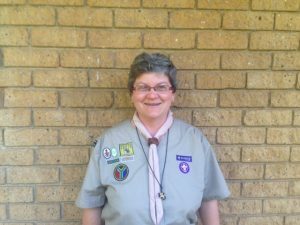 She joined the Scouting Movement in 1980 at 1st St Francis in Yeoville as a Pack Helper. For 36 years Jeanette has worked relentlessly to help Cubbing grow in South Africa. “Our aim is to develop children holistically; to become independent, healthy, happy and helpful individuals. Through the Cub Programme, which is aimed at the balanced development of each child, we provide ample learning opportunities through the play-way method.” Read more here. Professionally, Joy has had a successful administrative career in multiple finance and HR departments in the corporate field. She has a secretarial diploma and has studied part time through Unisa majoring in education and psychology. Mrs Sheila Tanner was born in the United Kingdom and did her BSc Botany Zoology at the University of Wales in Cardiff. She went on to establish a successful professional career as a programmer, systems analyst and computer trainer. 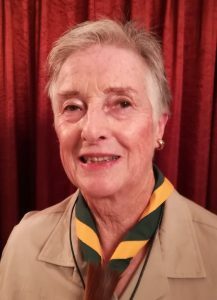 Sheila grew up in Guiding and was a Brownie, a Guide and for three years volunteered as a Guider in the UK. 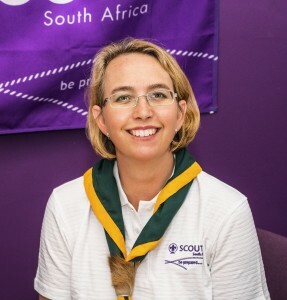 After joining the South African Scouting Movement in 2004 as a uniformed member, she has served in various roles ranging from Assistant Pack Scouter to Assistant Troop Scouter, Assistant Provincial Commissioner, Tutor, Assistant Leader Trainer and Leader Trainer and more recently as Regional Team Coordinator Adult Support in Limpopo. For many years she has been working relentlessly within the Adult Support and Training teams to develop, edit and present materials that benefit not only the adult leader but also the youth under their care. Sheila’s reason for volunteering for Scouting is simple, “I serve to help young people make a success of their lives! Read her story here. Mr Quintin Combrink is a Candidate Attorney. 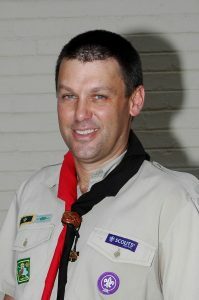 He joined the Scouting Movement in 1994 when he was 7 years old with 1st Edgemead Scout Group. As a scout He later moved to 1st Monte Vista Scout Group where he achieved his Springbok Award in 2005. 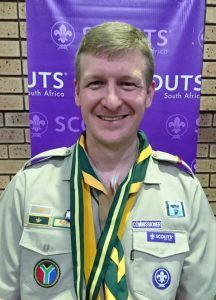 As an adult Quintin continues to give back to the Movement as a Troop Scouter, a former member of the Senior Scout Adventure Committee and as a Western Cape Adult trainer. 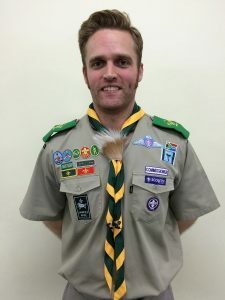 An elected member of the former National Scout Council, Quintin has volunteered at the National Scout Office and represented SCOUTS South Africa at the World Scout Conference in 2008. He has also represented WOSM, the World Organisation of Scout Movements, at the United Nations’ General Assembly and UNFCCC/COP meetings and on numerous occasions, leading the WOSM delegation in 2016.